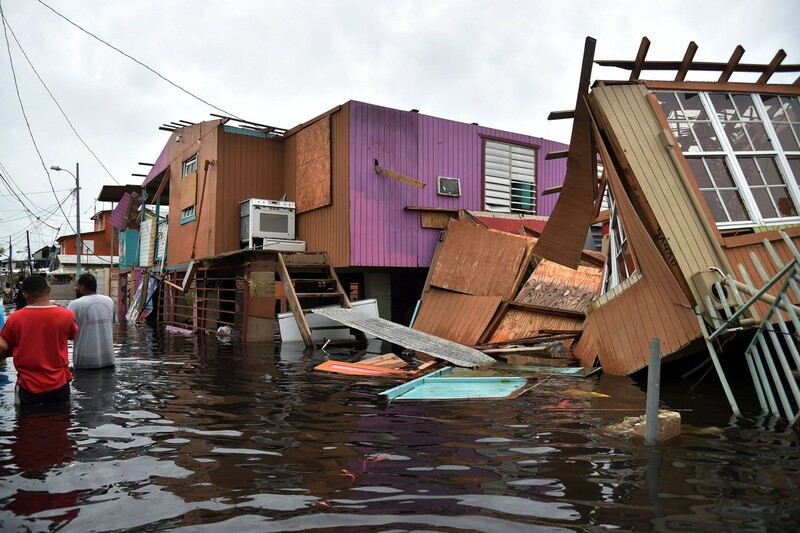 A glimpse of Hurricane Maria’s destruction. Photo from Wall Street Journal. 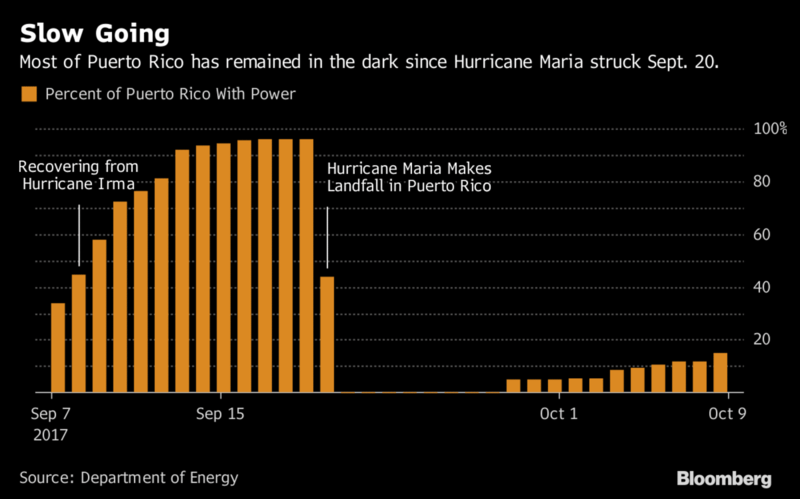 Hurricane Maria’s outage was the second largest on record, creating devastation in the Caribbean in September and October of 2017. Aftershocks from the devastation are still being felt: 8 months after Hurricane Maria, and an estimated 33,000 people remain without electricity in Puerto Rico. Power outages continue to occur, costing businesses thousands of dollars per day. Economic damages range from perished goods to lost sales and diminished worker hours. Beyond the economic implications of unreliable electricity, Puerto Rico has suffered from direct consequences to human livelihood. A recent report published by Harvard University states that Hurricane Maria killed more than 70 times what the official toll for Puerto Rico claims: from an official stat from Puerto Rican officials of 64 fatalities to an estimated 4,600 fatalities.2 Approximately one third of these deaths have been attributed to interruptions in medical care. The repercussions of Maria left many hospitals, refrigerators, and medical devices without power. Medications went bad, and Puerto Ricans struggled to pay for generators on which they ran expensive life support in their homes. 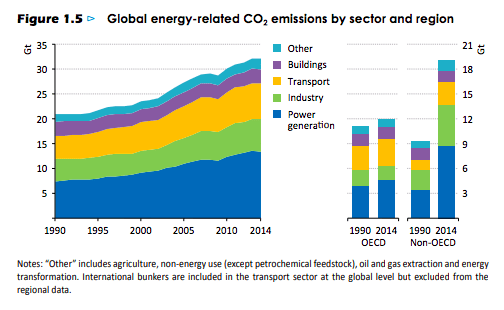 The importance of protecting the current and future health of human life on earth must act as a lighthouse that guides us towards the adoption of new standards for energy and electricity. A compelling solution is the implementation of decentralized renewable microgrids. History has proven the vulnerability of grid tied energy: one snapped power line can imply hours or days without power. During a storm, natural gas lines can break, infrastructure can be destroyed, diesel generators can run out of fuel, and localized outages can extend for miles. 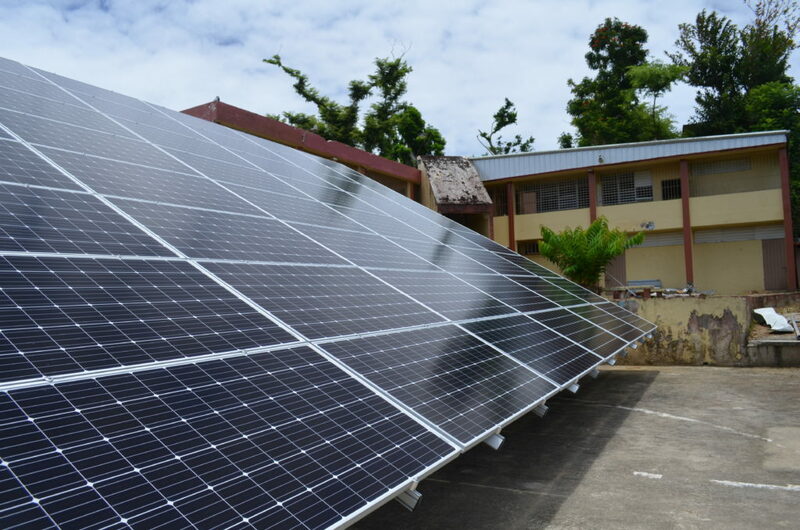 BoxPower’s solar array in Mariana, Puerto Rico. Renewable microgrids are a compelling case for overcoming the vulnerability of grid-tied electricity. Microgrids partition the incorporated energy grid into divisions and fractions of localized energy independence. Microgrids run on the principle of redundant energy: combining renewable energy production with battery storage. Off-grid solar solutions can supply energy easily on sunny days in remote or urban areas, and backup batteries and generators provide insurance that this energy flow will remain dependable during bad weather or periods of high demand for electricity. Beyond the devastation in Puerto Rico from Hurricane Maria, over 1 billion worldwide remain without access to electricity. 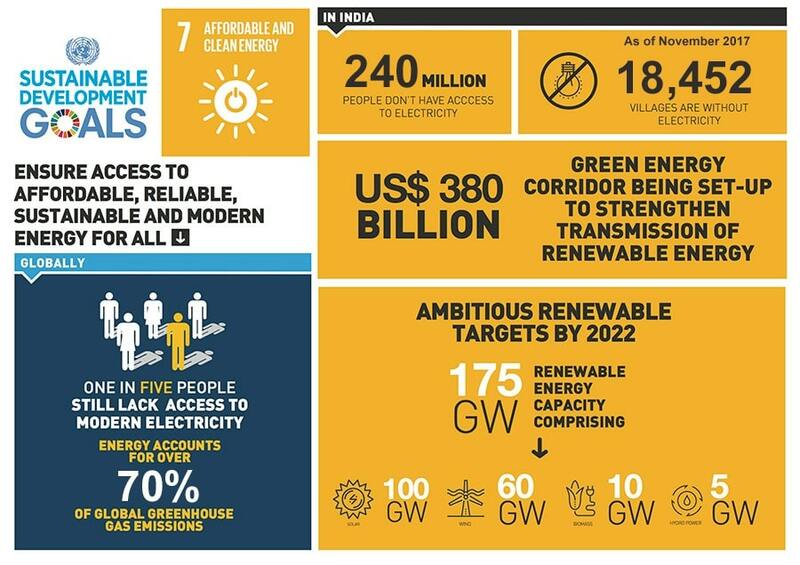 The United Nations has set a sustainable development goal to close this energy gap by 2030, working to achieve global access to affordable, dependable, and convenient energy solutions.6 BoxPower is committed to playing a vital role in the actualization of this sustainable development goal–through providing clean, reliable energy, it becomes possible to improve the quality of life for millions around the globe.